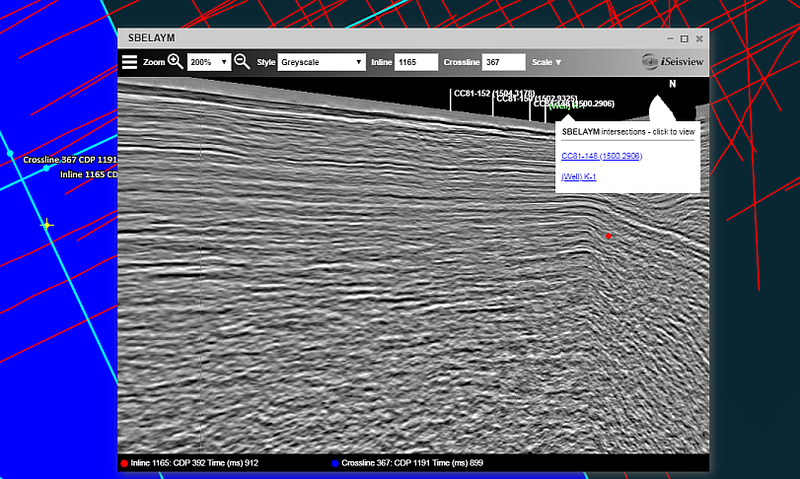 Lynx iSeisview now has a new ‘cube’ viewer for 3D seismic surveys. This new viewer is enabled by default for 3D surveys, and provides an interactive 3D cube perspective view of the survey, allowing zoom and rotation to view inline and crossline profiles from any angle, with a choice of display styles and scales. The new cube viewer works in all modern browsers (Google Chrome, Mozilla Firefox, Apple Safari and Microsoft Edge) on desktop and mobile devices, and even (with a few small limitations) in Microsoft Internet Explorer. 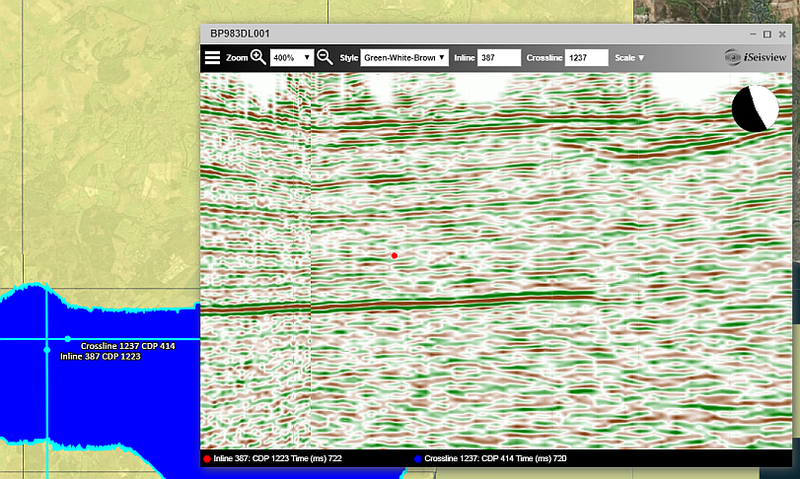 Use your mouse or touch gestures to rotate, pan and zoom the view of the 3D survey. The 3D viewer display can be switched dynamically between the new ‘cube’ perspective view and the original ‘flat’ inline or crossline profile viewer. The mouse position in the seismic viewer is updated dynamically on the basemap to reflect current CDP position on both profiles. Contact us about licensing options for iSeisview, or for more information on the Lynx iXplor Content Management System or Virtual Data Rooms. Ukraine oil and gas licence bid rounds are coming thick and fast! Hard on the heels of the 6th Dec 2018 announcement of an auction for 10 licences, Ukraine’s State Geological Service announced its intention to put 10 Production Sharing Agreements (PSAs) under the hammer, with the auction date to be announced in mid-February to March. Soon afterwards, on February 2nd 2019, the acting head of the SGS Oleh Kyryluk declared in London that a second tranche of 7 blocks was to be put up for grabs in an online auction of licences, to be held around 2nd May. Of the offers in Licence rounds 1 and 2, three are in the Carpathian region of West Ukraine, one in the Odessa area bordering Romania and the remaining thirteen in the prolific Dnieper Donetsk depression. Although the PSA round has yet to begin, the PSA block polygons have been published and cover large tracts in the DDD, with more modest areas in West Ukraine. Lynx has a large and growing library of exploration data from Ukraine, covering the areas of most of these blocks. Our Dnieper Donetsk and Carpathian GIS products contain a wealth of data on fields, reservoirs, geology, wells and prospects and have recently been updated to include data from the latest discoveries and materials released by the SGS since the “opening up” of Ukraine’s subsurface data by an act of parliament last year. For specific areas or requirements, Lynx can build bespoke GIS based projects using data from our own extensive library, including georeferenced and digitized map layers, document translation from Russian and Ukrainian, seismic processing and interpretation together with researching data from the SGS archives. The Madagascan Ministry of Mines and Petroleum, represented by OMNIS has officially opened the Madagascar Licensing Round 2018 at Africa Oil Week in Cape Town. The round is open from 7 November 2018 with bids requiring submission by the 30 May 2019. 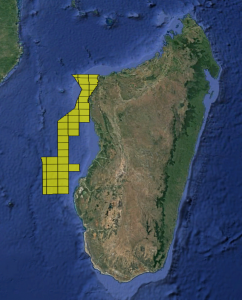 Lynx has developed the Madagascar GIS adviser with Fairway Exploration over many years of data collection, applying direct hands on experience and knowledge. 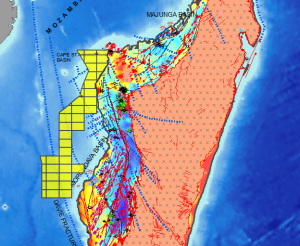 This GIS and the accompanying basin reports are designed to provide companies with all the necessary information required to understand the petroleum systems and potential of the basins in Madagascar. The data behind this is presented in the GIS format enabling a spatial representation of the database for companies to screen, explore and operate. 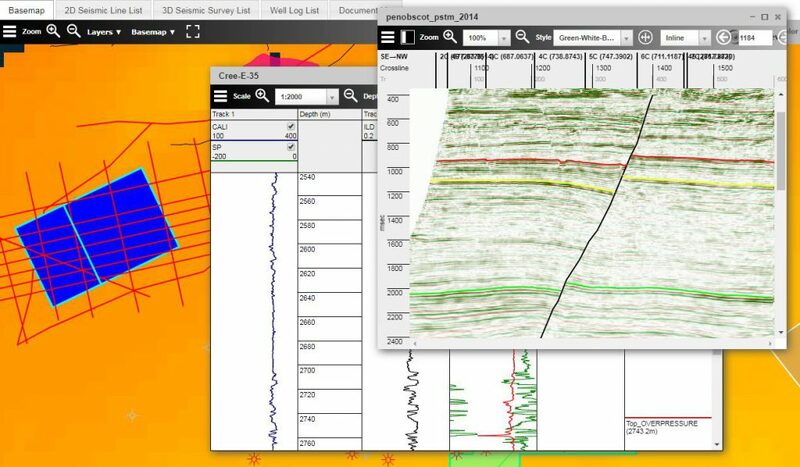 Lynx’ database of well results and digital LAS wells are also accompanied by summary and dry hole analysis reports for wells, providing much needed information on the subsurface geology of all of the major basins. The wells database is extensive and covers, formation tops, geochemical and reservoir information. A stratigraphic framework has also been developed for each basin enabling a fantastic summary of the stratigraphy encountered onshore and offshore. The adviser also shows worked up plays and leads in a database which can be used by the purchaser; there are currently over 200 lead polygons to get stuck into. These have been developed using all of the available data in the Adviser. This product is not just for new entrants to Madagascar but also provides current or mature operators with in fills to data and knowledge gaps. If you require more information or would like to request a demo presentation by ourselves at your location please contact us. The deadline for bid submissions is 28th August 2018 and there are considerable bureaucratic hurdles to be surmounted before then. We were alerted to the round’s existence when Ukranafta, the majority state owned oil company, released a call, which is at least in English, for investors to form “an exploration JV” with them. That’s enough links! Three of the blocks are in West Ukraine in the Carpathian region (Lviv Oblast) and the fourth in the Dnepr Donetsk basin. We can speculate a little about them from what we already know, from our extensive Ukraine database. Lipovetska block is adjacent to the Polish border in the outer zone of the Carpathian foredeep and covers Khokhanivke oil field and the northern part of the Svydyntsa gas field. Svydyntsa is the Ukrainian continuation of the Lyubachiv fold in Poland. Discovered in 1954, production started in 1964 and the gas field was 89% depleted by 1993, having produced about 6bcm of gas. Production in that year was about 88mmcm. Producing horizons are shallow, stacked Sarmatian sands, with depths in the range 200m to 900m subsurface. In 2012, UGV reported that production was still about 80mcm/year, with average production of 6.6 mcm/day from 39 producing wells. There is likely to be a wealth of information available about this field, where production has been going on for over 50 years. The Kokhanivka structure lies beneath Svydyntsa, 1.5km to the NE of its crest. Heavy oil was discovered in Upper Jurassic carbonates at a depth of 1117mand during extended testing over the period 1957 to 1994, some 38000 tons of oil were produced by the time production declined to just 1.4 t/day. Original reserves were estimated at about 1 million tons. Ukranafta’s current production licence expires at the end of 2018**. A seismic survey was shot in 1980-81, 37 lines at a spacing of 0.8 to3.5km, covering an area of 800 sq.km. In 1983 well Yavorivskiy-1 was drilled to TD 2187m, presumably targeting Jurassic carbonates. The Chernitska block is over the northern part of the Ugersk gas field, which was discovered in 1944, and produced from Tertiary (Helvetian – Sarmatian) sandstones at a depth of about 200 to 800m (drilled depth), extending into middle Cretaceous sands beneath the base Tertiary unconformity. The field is now largely depleted, and was reported as producing about 0.9 bcm/year of gas in the late 90s.The Ugersk production licence apparently expired in March 2014. There is a current gas storage licence for the Bilche-Volitsa-Ugersk area. The Surmachivska block, probably an oil /gas / condensate prospect, is in the north west part of the Dnepr Donetsk Basin (Sumska oblast), sandwiched between the Kampanska (production licensed to 2019**) and Andriyashivska fields (licence expired March 2018, not renewed**), which produce from the prolific Tournaisian and Visean sands of this region. This stuff is deep, 4700-5200m and complicated by faulting, so we can only surmise that there may be something of interest on seismic data acquired in this area. Andriyashivska аrеа was the subject of seismic surveys in 1961, 1973-74 and in 1982-84 when about 79 profiles were shot, which presumably included the Kampanska block. According to the Ukraine Atlas of Oil and Gas Fields (1994) the lower, Tournaisian horizons were not produced and there is scant evidence of further exploration at this level. It’s odd that the Surmachivska block is so small, less than 2sq km, over a structural low. Logically, it would be more attractive if it included the open (expired) Andriyashivska block to the south. Lynx has a large database of Ukraine oil and gas information, which underpins our “Advisers” for the Carpathians, Dnepr Donets basin and Black Sea shelf regions. These provide a wealth of information including structure maps, regional and local cross sections along with a field, reservoir and well database, for better evaluation of these prospects. **As far as we can tell. Every effort has been made to check the information given above, but as with so many things Ukrainian, we cannot guarantee its veracity. Egypt has announced 2 new International Bid Rounds for 2018, for oil and gas exploration and exploitation. The licensing rounds will close in early October. EGAS have released 16 blocks in total, with 3 onshore the Nile Delta and 13 offshore Mediterranean Sea. Most of the blocks have seen some exploration in previous rounds and contain wells and seismic for the acreage, with a few blocks already containing promising shows and discoveries. EGPC have released 11 blocks in total, with 4 in the Gulf of Suez, 2 in the Eastern Desert and 5 in the Western Desert. Blocks in the Western Desert should prove exciting with recent news of oil discoveries by ENI located nearby. There are 2 blocks on the under-explored eastern shore of the Gulf of Suez while the western shore has plenty of surrounding fields and infrastructure. As mentioned previously, Egypt has low operating costs for hydrocarbons and a strong demand for gas. The growth of global oil and gas demand will help to steady prices providing an enticing opportunity for operators. Egypt has dropped a double whammy of treats for the industry to get its teeth stuck into over the coming months. With so much acreage to evaluate, Lynx can help by providing an Adviser GIS and Report for companies looking to evaluate the opportunities which have been made available. The package will update your knowledge base, providing geological, geochemical, seismic and well data as well as field and reservoir information. The GIS and report are a fantastic way for companies to gain an overview of the country and to help provide the first foothold into Egypt – contact us to find out more. 6 Onshore and 3 Offshore areas will be made available in the EGAS 2018 (Q2) Licence Round. Egypt is gearing up for a renewed surge in investment and exploration activity, it won’t be long until dates are formally announced. An additional round for the Red Sea is proposed for the end of 2018. With low operating costs, a recovering oil market and strong demand for gas, Egypt is a ‘hot’ country to be in. Lynx/Fairway provides a complete regional Egypt GIS Exploration Adviser package for your company to update your knowledge base and hit the ground running with an up to date overview of the exploration history of Egypt, new discoveries and prospective hydrocarbon plays – contact us to find out more. Are we finally in a period of optimism? We would like to think so. This feeling is amplified by the number of License Rounds that have already been announced at the start of 2018, and there are still 7.5months remaining for more to be announced. To help companies with the evaluation of areas, we provide data integration and analogue to digital conversion of well logs and seismic, as well as our comprehensive GIS Exploration Advisers. The Lynx iXplor web viewers – iSeisview for 2D and 3D seismic data, and iLogview for wireline logs – provide a familiar, easy-to-use and secure viewing application for geophysical and geological data in any web browser. Contact us for more information on Lynx Virtual Data Rooms, or iXplor web viewer licensing options. 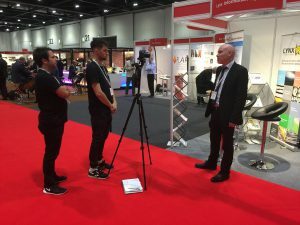 Lynx were present at Petex 2016 held at the ExCel London, with staff on hand to talk directly to attendees about the range of services Lynx provide, these include our newly launched Virtual Data Room (VDR) service that can be quickly and easily installed to showcase oil and gas exploration data sets, combined with iSeisview and iLogview – our online seismic and log viewers. VDR can be used for use in farm-outs, data sales and acquisition opportunities, enabling users to view the offered data from anywhere in the world securely through a web browser. Other software and services provided by Lynx that were demonstrated at Petex 2016 included LEASSV – our scanning and vectorizing software, the global range of of GIS Exploration Advisors that are available and the E&P data management tools and support services offered by Lynx. If you were unable to attend Petex 2016 or didn’t mange to drop buy our booth at the show and would like any information about the products and services that Lynx provide please don’t hesitate to get in contact. Lynx Information Systems is pleased to announce the launch of a new Virtual Data Room (VDR) service. This new VDR service is designed especially to showcase oil and gas exploration datasets, for use in farm-outs, data sales and acquisition opportunities, and will provide secure access for authorised users to view the offered data from anywhere in the world through a web browser. Each Lynx Virtual Data Room will be hosted from either London or Houston. Our experienced staff will QC and upload the seismic data, wireline log data, interpretations and reports into a virtual data room for remote access. Lynx staff will liase with the issuing authority to grant end-user requests for access, subject to the necessary confidentialiy/non-disclosure agreements required for VDR access. Activity logs detailing end-user access will be available to the issuing authority. The SEG-Y and LAS digital source data will be protected from direct access by end-users. Contact us to ask about Virtual Data Room pricing, and to learn more about how Lynx can help you showcase your exploration data. 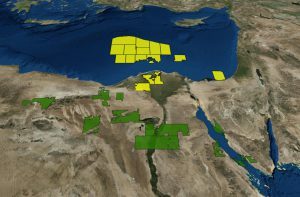 The Ganoub el Wadi Holding Company for Petroleum (GANOPE) in Egypt has announced a new international licensing round for oil and gas exploration and exploitation in the southern Western Desert and in the Gulf of Suez. The Licensing Round will close on 30th November 2016. 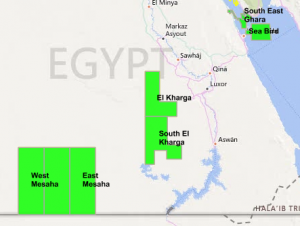 The five blocks in the south of the country – West Mesaha, Mesaha, East Mesaha, El Kharga and South El Kharga – have not been licensed before, and have seen little previous exploration activity. The five blocks in the Gulf of Suez comprise the onshore block West Gebel El Zeit, plus offshore blocks, South East Ghara, East Geisum, Sea Bird and South Sinai. Explore the blocks on offer in the Lynx Interactive Bid Rounds Map, and download a shapefile of the GANOPE 2016 blocks on offer. The Lynx/Fairway Egypt GIS Adviser provides an up to date overview of the exploration history of Egypt, new discoveries and prospective hydrocarbon plays. Along with a GIS-enabled report and geodatabase, supplementary seismic and wireline log datasets are also available – contact us to find out more. 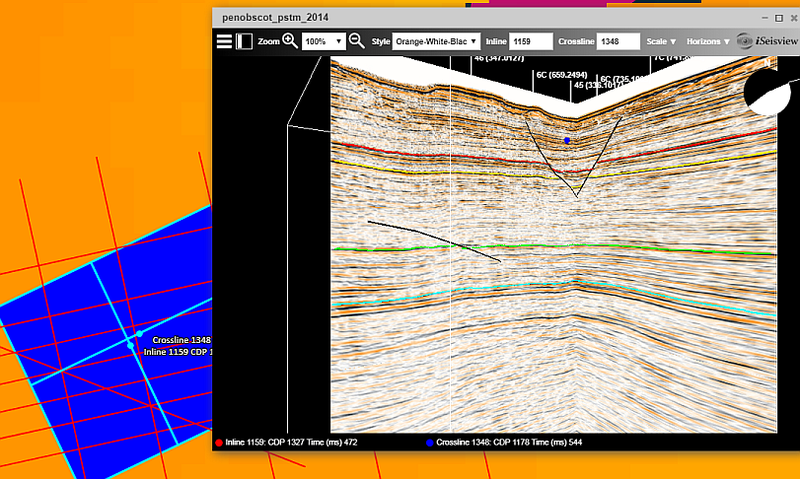 Exploit The Full Potential Of Your Paper Archives of Seismic Data! Lynx Information Systems have over 25 years of experience handling seismic data from around the world. With our in-house vectorising teams strategically located in London and Houston, we can help you exploit the full potential of your paper archives of seismic data. We also have unrivalled expertise in reconciling and reconstructing seismic locations from incomplete line intersection and/or coordinate information. We are able to scan and vectorise hard-copy seismic sections and shotpoint basemaps, and convert them into SEG-Y and SEG-P1/UKOOA. Once in digital format, your data can be conveniently loaded to interpretation workstations for detailed review, interpretation and analysis. Please contact us on +44 (0)208 780 2634, or at lynx@lynxinfo.co.uk, for all your seismic vectorising needs! Posted in Announcements	| Comments Off on Exploit The Full Potential Of Your Paper Archives of Seismic Data! Equatorial Guinea’s Ministry of Mines, Industry and Energy has launched EG Ronda 2016. 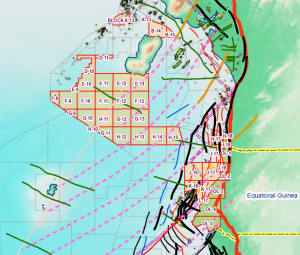 This licensing round will make available all acreages which are not currently operated or under negotiation, and includes a total of 32 offshore blocks and 5 onshore blocks. The round will close for bids on 30th November 2016. Equatorial Guinea has a good track record of exploration success, with a discovery success rate of twice the global average, and appealing contract terms for international explorers. Explore the blocks on offer in the Lynx Interactive Bid Rounds Map, and download a shapefile of the EG Ronda 2016 blocks on offer. The Lynx/Fairway West Africa GIS Adviser provides an up to date overview of the exploration history and hydrocarbon prospectivity for the West African Aptian Salt Basin, covering coastal basins from Cameroon to Namibia. A systematic inventory of technical data for each producing field and major discovery is included, with comprehensive data on source rock, seal and reservoir facies distribution, paleogeographic reconstructions used for play fairway analysis and common risk segment maps – contact us to find out more. Please stop by and visit us at stand 2210, in Hall B, to find out more about our world renowned scanning and vectorizing services. The team will be more than happy to vectorize some test lines for free! 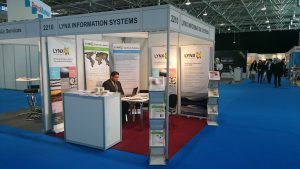 Lynx Information Systems is exhibiting at the 78th EAGE Conference & Exhibition on 30 May – 2 June 2016. Please come along and visit us at our stand 2210, in Hall B, to find out about all the latest news and developments on our products and services. We will also be showcasing all the latest updates in our West Africa and Egypt GIS Exploration Advisers.